Relative to the Biblically allotted span of three score years and ten, a 5.2 year reduction in average lifespan relative to those born during solar minimum is 7.4% shorter. What is new about the Norwegian study is that they also looked at the effect on female fertility. 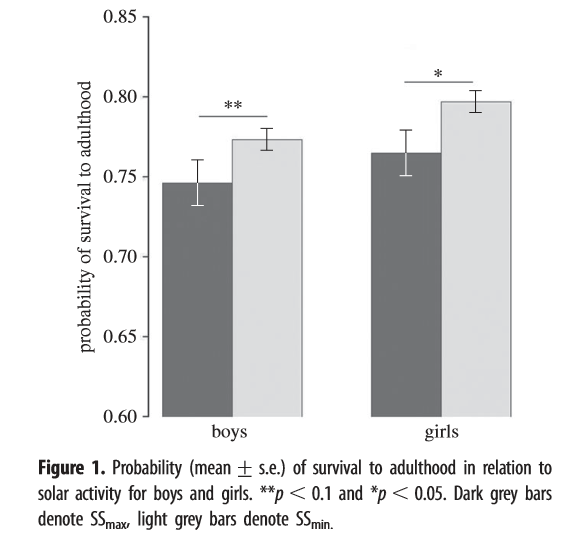 On top of lifespan, being born in a solar maximum period also significantly reduced fertility for women born into the poor category, but not for wealthier women or for men. 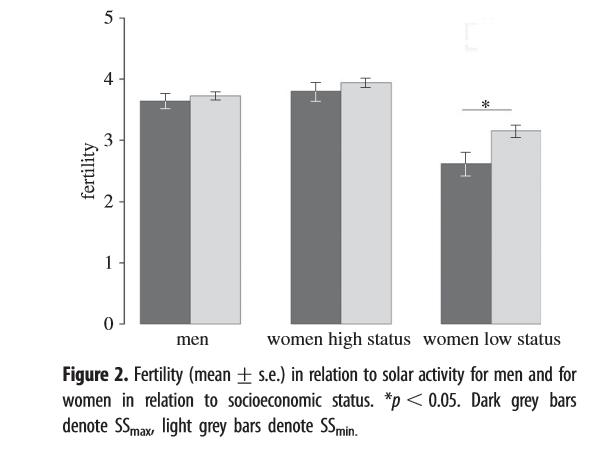 The effect of socio-economic status on the relationship between solar activity and fertility suggests that high-status pregnant women were better able to avoid the adverse effects of high solar activity. The paper speculates that the effect is due to degradation of the B vitamin folate by ultraviolet radiation. The Scandinavian region has a lot of good population records and follow-up research on such a profound effect can be expected.